Dr. Thomas holds a Ph.D. in Medical Microbiology & Parasitology from the College of Medicine, University of Lagos. He joined the Department of Biomedical Sciences, Rochester Institute of Technology in the Fall of 2008 after completing postdoctoral fellowships at Drexel University College of Medicine and the University of Pennsylvania School of Medicine. Dr. Thomas is a member of the American Association for Immunologists and the Network of Minority Research Investigators and Faculty Mentor for the Federation of American Societies for Experimental Biology Maximizing Access to Research Careers (FASEB-MARC) program. 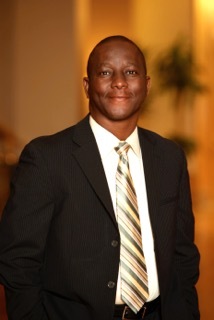 In addition, he is a Board Member for RIT Upstate Louis Stokes Alliances for Minority Participation (ULSAMP) program and the RIT Fulbright Committee. Dr. Thomas has been in the forefront of recruiting, training, and mentoring undergraduate students in his research program. He has been a PI or Co-PI on grants funded by the National Institutes of Health and World Health Organization, member of Editorial Board as well as invited reviewer for several journals.